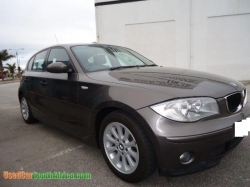 A/C, ABS, Airbags, Central Locking, Cruise Control, Electric Windows, Original Mags, Multi-Functional Steering Wheel, P/S, Radio/CD, Panoramic Sunroof, Spare key, 53000KM, Comes with Motorplan. 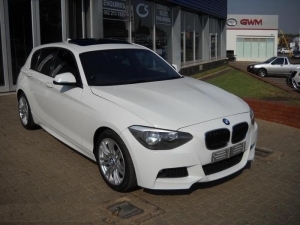 2013 BMW 118i available at and affordable price this car is still in perfect running condition and comfortable its air bags and all other parts of the car is still function smoothly.contact for more detail about the car. 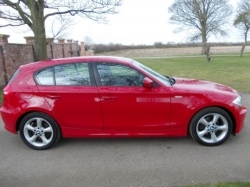 Sunroof,leather sits,tyre pressure monitoring system,aux,cd player,alarm..low millage ,full service history,spare key,1 owner..As good as new. 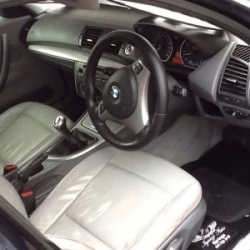 Description: Nationwide delivery,Excludes on the road fees,Trade in\'s welcome,Finance can be arranged..